Posted on February 1, 2019 - By Fucosoft | Follow YouTube, Twitter to Get More Information. Many iPhone users are music lovers and have the habit of listening to music offline while on the go. Here we’ve searched the whole web to find the 5 best offline music apps for iPhone or iPad. You can explore the collection and pick out the most suitable apps to listen to music offline free on your iPhone XS, iPhone XS Max, iPhone XR, iPhone X, iPhone 8/7/6s/6 Plus, iPad Pro, iPad Air, iPad mini etc. running on iOS 12/11. 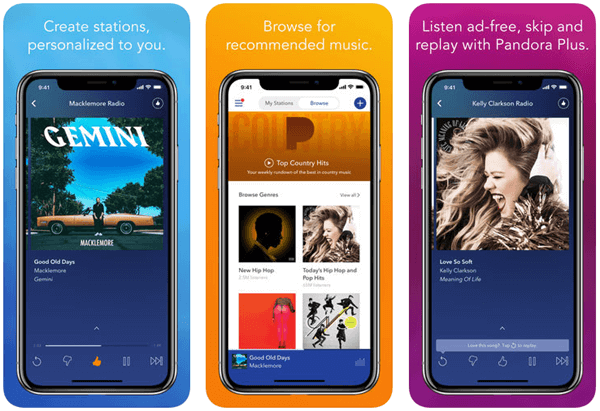 Pandora is one of the most popular offline music apps for iPhone on the App Store, which gives you a personalized music experience. You can create stations from your favorite songs, artists or genres, or search browse to find recommended stations for your mood. Also, you can subscribe to download the music you want for offline listening. 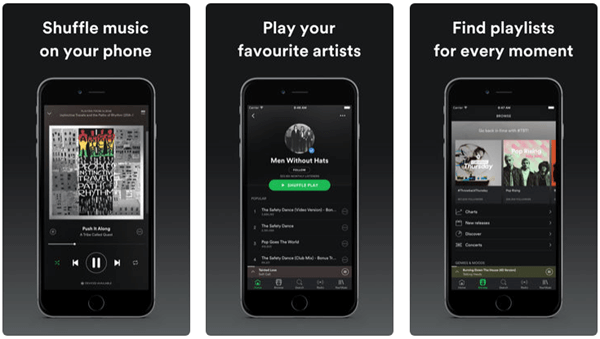 Spotify is the best music app for iPhone to listen music offline. Similar to Pandora, you can create a radio station so Spotify will play recommended music based on your initial interest. You can search for any track, artist or album and listen for free with ads, or you can get Spotify Premium to enjoy ad-free music, better sound quality, and offline listening. SoundCloud is the word’s largest music and audio streaming platform. With over 150 million tracks, this music app has got everything you would want to enjoy music at its very best. You can discover incredible music in each genre, from all-time greats to the newest and hottest tracks. 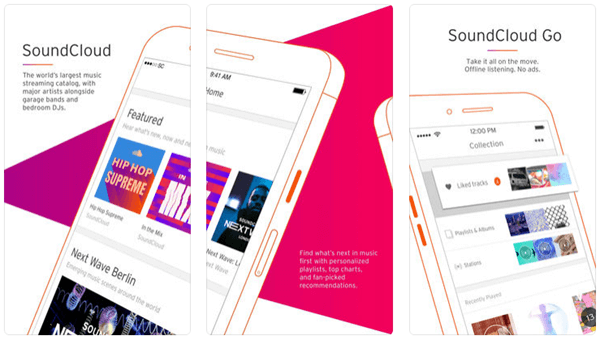 The SoundCloud Go lets you download your favorite tracks for offline listening. 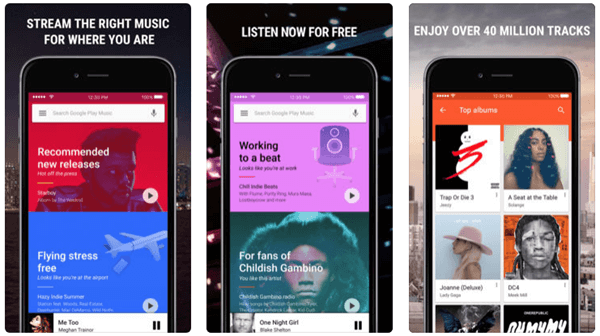 Google Play Music is another amazing offline music app for iPhone, which gives you millions of songs and thousands of playlists for any situation. Also, it offers storage and streaming for up to 50,000 songs from your personal collection for free. You can upgrade to the premium version to enjoy ad-free, uninterrupted as well as offline listening. 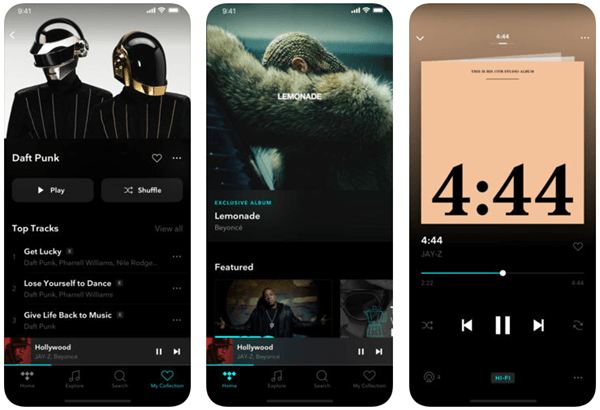 Tidal is the word’s first music service with High Fidelity sound quality, High definition music videos and Curated Editorial by music journalists, artists and experts. You can enjoy unlimited access to over 40 million tracks. This free offline music app for iPhone allows you to download albums, playlists and tracks, and bring music with you anywhere using the offline mode. You may have stored a lot of purchasing and downloading music on iPhone or iPad for listening offline. To avoid unexpected data loss, you’d better make a backup on computer. Fucosoft iOS Data Backup & Restore can help you back up iPhone data to computer with one click. All your iPhone music, videos, and photos can be backed up to PC/Mac and you can restore the backed media files to any iOS device without restrictions. Run the program on your computer and choose “Acquire Backup from Device & iCloud” from the left panel, then click on “Back Up Device”. Connect your iPhone to the computer via USB cable and select “Make a Full Backup” as well as the path of your backup files as your needs. Now click on “Back Up” to start the backup process. Once the process finishes, you can view and export data including music from the backup. As you can see, with Fucosoft iOS Data Backup & Restore, you can easily backup music and other data on iPhone or iPad. If you unfortunately lost data like music, photos or videos on your iPhone without backup, don’t worry, you can always use Fucosoft iPhone Data Recovery to get them back by directly scanning the iOS device.